Very nice and bright cafe with a good choice of wines and snacks. “Ў” is a Cyrillic letter which now exists only in Belarusian alphabet! So this place named after our unique letter attracts people who promote Belarusian culture and language, mostly artsy people, writers, hipsters, and foreigners. 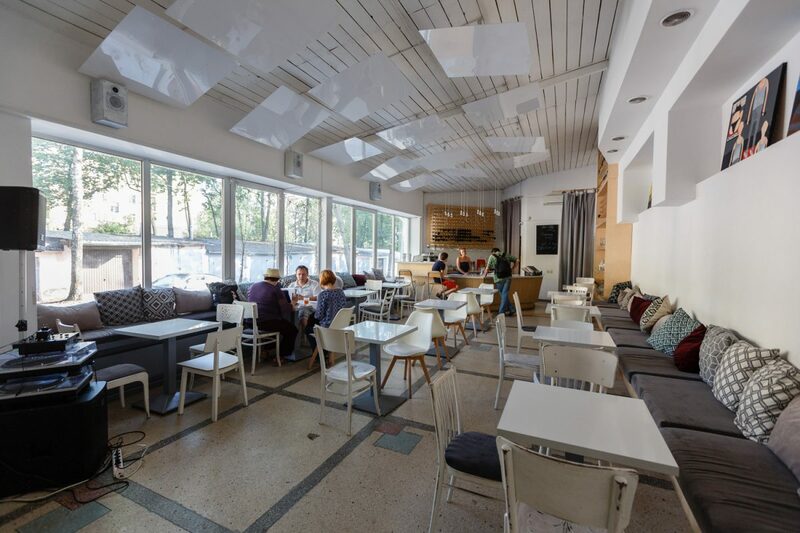 In the same building you will find an art gallery, a shop with different Belarusian handmade souvenirs and a bookstore. Nice and cozy bar with a big choice of wine! You will be surprised how many interesting and exclusive sorts of wine this place has to offer. Also good Bruschettas and other snacks that go well with a glass of wine are available. Sometimes they even have live piano music. So get yourself win(e)d-up and enjoy your evening here! The name of this wine bar literally means ‘Freedom, 4’. And it’s perfect for almost any occasion: breakfast, lunch, dinner, or partying. So go for a good glass of wine and cheese, check out the locals, and party away to some good old freedom vibes. 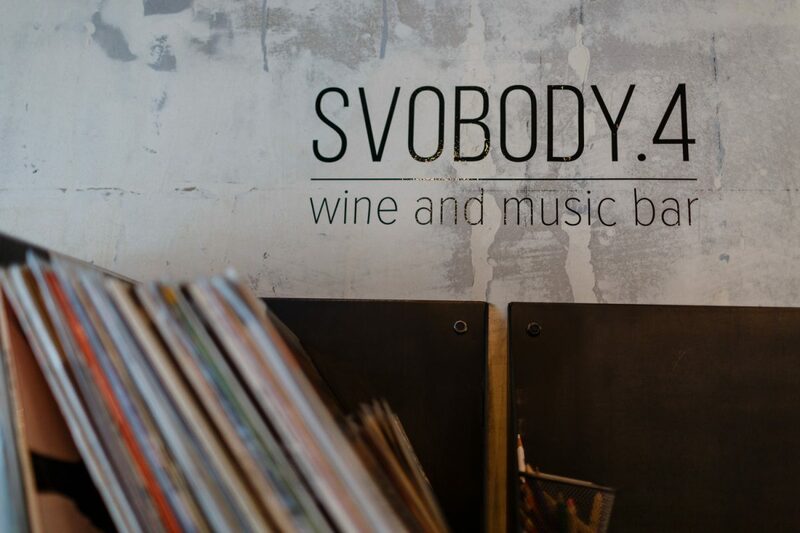 If you’re looking for a bar with wine and music our choice would be Vinny Shkaf (stands for ‘wine cellar’ in Russian). It has a wide choice of wines, good food, and live music on the weekends. Many Minskers come here for its European kind of atmosphere, where you can enjoy your glass of wine and chat with friends on the street. You really can’t beat their hospitality and friendly service. This place becomes more and more popular among Minskers. It’s a tasting shop in a calm part of the city center where you can buy a bottle of a very good wine for a good price and drink it off right there! You can also get some snacks with cheese, meat, olives or bread. Nice place to relax after long working day! Why not to continue your evening in one of the cocktail bars in Minsk?